“Atomic Live!” We released a free download live album. Yes, we have just released a live album. A good thing is, it’s a free download. To spread the word, we tried to write some “press release” thing. I’m not even sure if my English is correct. Yokohama, Japan – March 5, 2015 – Japanese rock band Imari Tones releases “Atomic Live!”, a live album recorded in Fukushima, to send a message about the dangerous situation in Japan. It was not something planned beforehand, when Imari Tones, Japanese Christian rock band, played a live recording session at Studio Back Beat, Minamisoma, Fukushima, the music venue that was only 15 miles away from Fukushima Daiichi nuclear power plant. This recording happened in November 2014. The band was touring in Japan with an American rapper Gallery Cat, as a part of The Extreme Tour. The Extreme Tour is a grass root Christian music tour that has been around in USA since 1994. Imari Tones joined their USA tour in 2012, and brought the tour to Japan in 2013. This 2014 tour was 2nd year for The Extreme Tour in Japan. The tour line-up included other Japanese Christian artists such as CLOD, Soul of Faith, GeeBars, and Kaori Yamamoto. Imari Tones was in Fukushima, when a certain gig was cancelled at the last moment. The band didn’t want to disappoint their fans, so they sought for an alternative venue. They found out Studio Back Beat in Minamisoma was the only available choice for them, and the venue was located only 15 miles away from Fukushima Daiichi nuclear power plant, that had been broken since the Tsunami disaster on March 11, 2011. When they booked the venue, they also decided to do a live recording for this off the cuff gig. The result is “Atomic Live!”, which was just released on the band’s website. It’s an unconventional live album recorded at a small venue with only handful of fans. There is a hidden message in the artwork. On the album cover, Tak is standing next to the banner says The Extreme Tour Japan, but the word “Tour” is crossed out. As a result it reads “The Extreme Japan”. Tak says it’s a message about how things are crazy and extreme in Japan right now. Although it’s carrying a controversial message, the music on this album is all about God and Christianity. 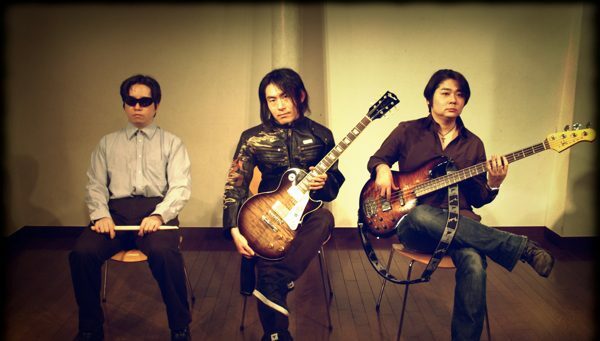 Imari Tones, call themselves “The first Christian heavy metal band from Japan”, is one of the few Japanese bands who declare Christian heavy metal openly. Imari Tones decided to release the album as a free download, to spread the music and the message. “Atomic Live!”, recorded at Back Beat, Minamisoma, Fukushima, Japan, is available at the band’s website and BandCamp. Next PostVictory music video and photo session!